I’ve tried over the years to make cake rolls but I admit they’re not my forte. 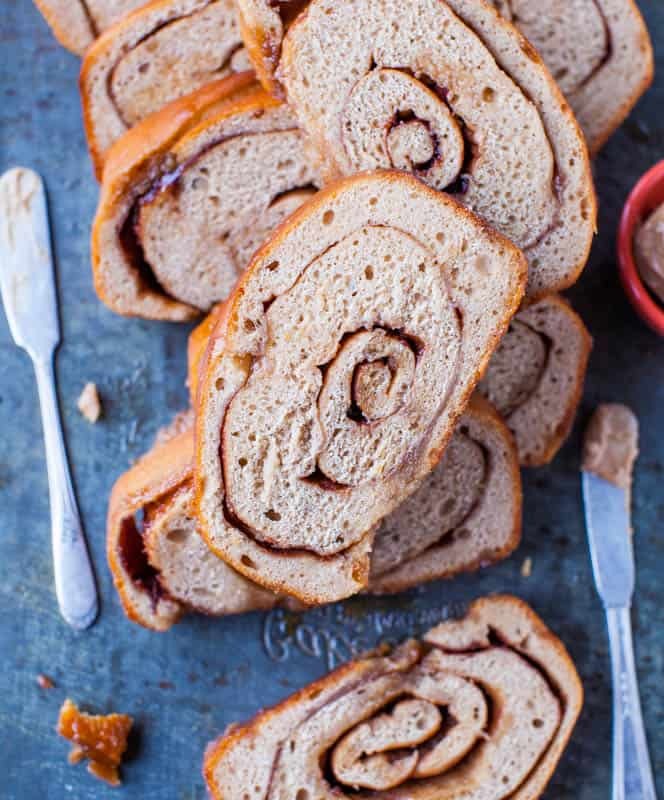 This bread reminds me of a cake roll, but it’s so easy and goofproof which isn’t my experience with cake rolls. Ahem. 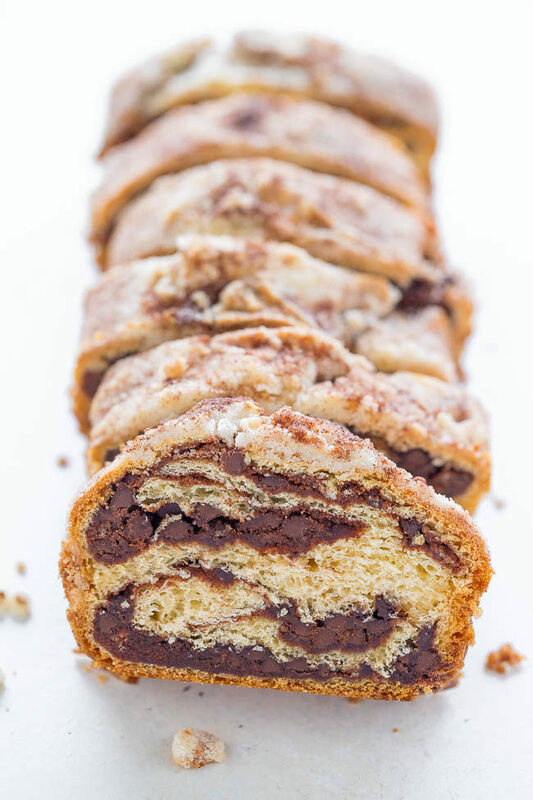 The recipe uses a tube of crescent rolls and you sprinkle the inside with cinnamon and sugar and chocolate chips before rolling up the bread, folding it in half, sprinkling with a streusel topping, and baking. I love how the bread is swirled with an abundance of chocolate. I recommend using mini chocolate chips for a more even distribution of chocolate. I used 1 tablespoon cinnamon and thought it was great but if you’re sensitive to cinnamon, you can always reduce to taste. If you’re looking for a fast and easy recipe for brunch, dessert, or comfort food snack, you’ll enjoy the bread. It’s on the drier side and perfect for dunking with a cup of coffee or tea. The bread reminds me of a cake roll, but it’s so easy and goofproof. 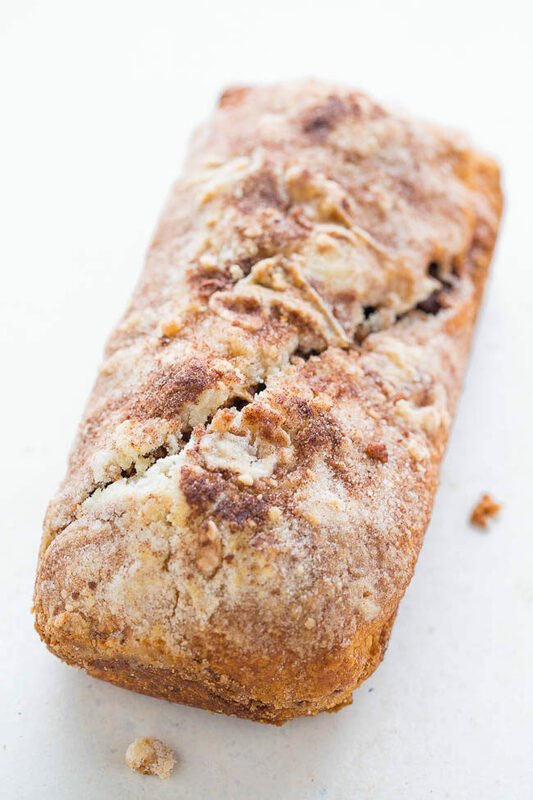 The recipe uses a tube of crescent rolls and you sprinkle the inside with cinnamon and sugar and chocolate chips before rolling up the bread, folding it in half, sprinkling with a streusel topping, and baking. The bread is swirled with an abundance of chocolate. Use mini chocolate chips and add cinnamon to taste. If you’re looking for a fast and easy recipe for brunch, dessert, or comfort food snack, you’ll enjoy the bread. Preheat oven to 375F and spray an 8×4-inch loaf pan with cooking spray; set aside. For the streusel, to a small bowl add 3 tablespoons sugar, flour, and cut in 1 tablespoon cold butter until crumbly. Transfer half of the streusel into another small bowl for topping; set aside. Add cinnamon and remaining 1 tablespoon sugar into remaining streusel; set aside. Unroll crescent dough into one long rectangle and press perforations to seal. 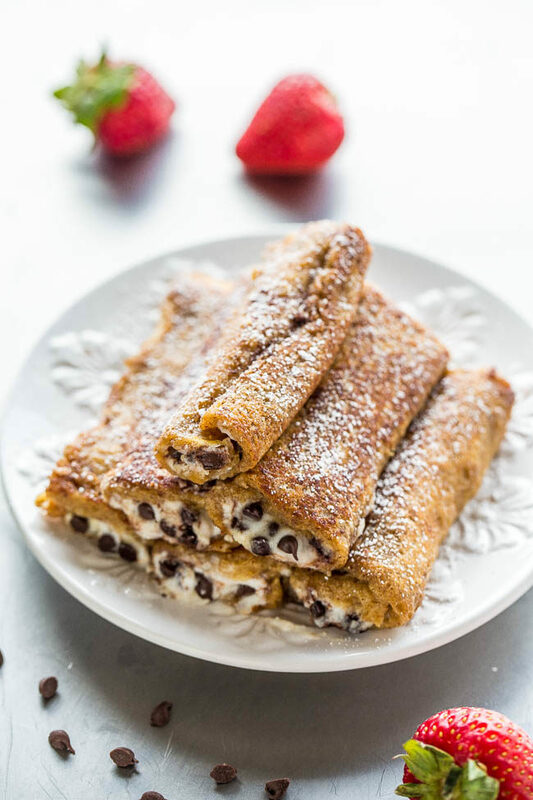 Evenly sprinkle with the chocolate chips and the cinnamon mixture, leaving a half-inch bare perimeter. Roll up jelly-roll style, starting with a long side; pinch seam to seal. Fold roll in half lengthwise and transfer to prepared pan. Brush with 1 tablespoon melted butter and sprinkle with reserved streusel. Add a few pinches of cinnamon if desired. Bake for about 25 minutes, or until bread is set and lightly golden brown. Allow bread to cool in pan on a wire rack for about 10 minutes before slicing and serving. Bread is best warm and fresh but will keep airtight at room temp for up to 3 days or in the freezer for up to 3 months. 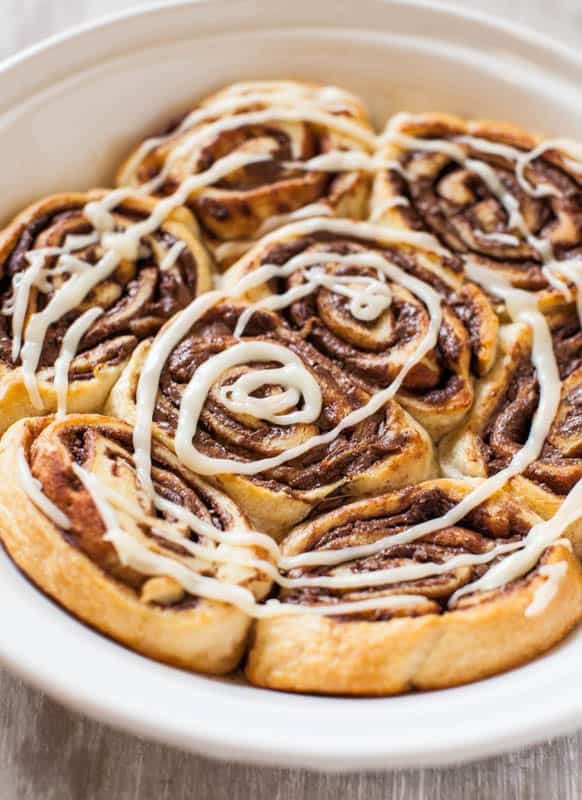 Nutella Cinnamon Rolls with Vanilla Glaze – Soft, gooey rolls that everyone loves! They’re ready in 15 minutes and require zero planning! Love shortcuts! 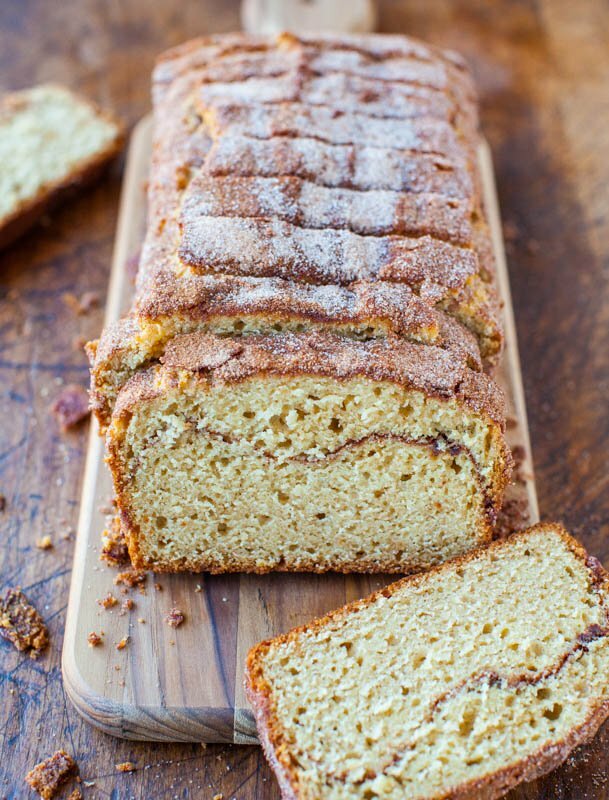 Cinnamon Swirl Bread – Lightly toasted and with butter is my favorite way to eat this bread! Rolled cakes are really tough. The cracks alone are enough to put anyone off of sanity for a while, unless you hide all the flaws with lots of ganache. This is a fantastic alternative. So easy and that filling is WOW. The cracks and all the towels you need to try to roll them up, the powdered sugar everywhere (at least with the ones I’ve tried), gah, not for me but this was super easy without any hassle! I wouldn’t have guessed you used crescent rolls but what a great short cut! They have great flavor and texture for tube dough but the chocolate and streusel look like yummy enhancements. My mom used to make cake rolls without issues but mine had a tendency to just fold and crack instead of rolling. I know some people who make great cake rolls and make them seem effortless but with me, not so much :) This bread however was a cinch! This is gorgeous! And looks so, so simple :) Love the ribbons of chocolate – so mouth-watering!! What a fun idea! I have made cake rolls with angel food cake mixes and have had reasonably good results (filled with ice cream) but I’ve never tried making one from scratch. Chocolate for breakfast is ALWAYS a good idea! This would be perfect with coffee. I love that this is goof-proof, like you, cake rolls are tricky for me! Oh my gosh this is GENIUS. I was just thinking about what I could do with a tube of crescent rolls…THIS! It’s really too bad I started WW the other day, lol. You were the exact person that came to mind who makes cake rolls look easy!! Me..not so much :) Good luck with WW, too! My mom makes a pumpkin roll every year for Thanksgiving and Christmas. It’s got a layer of cream cheese frosting in it and MY GOD is it good! I’d love to make something like that, but it just seems like a ridiculous amount of work. I’ll just hope someone makes me one, gluten free of course. I made something like that for my second cookbook. Probably will never make it again because cake rolls are tricky – very impressed your mom is such a natural with them! I NEED this in my life!! It looks amazing! 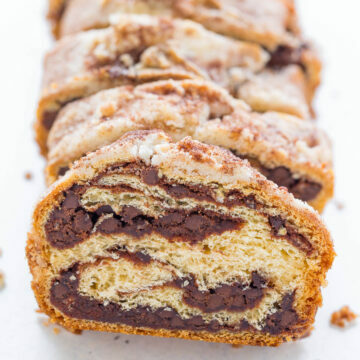 I have made this before and it is very tasty, I did add miniature marshmallows in the roll and that gave it a little more moister chocolate and not so much sweet. I have two tubes of crescent rolls in the fridge that have been looking to be used. . .I think I just found their purpose! :) This is a great recipe, and I’ll definitely go with the mini chocolate chips. Who doesn’t want chocolate in every bite? Glad this may help you use up those tubes! This recipe came to the rescue when I realized I had a tube of crescent rolls that were close to expiring. So tasty! #Happyfamily. Thanks for trying this recipe! I am glad it came in handy and that the family is happy!